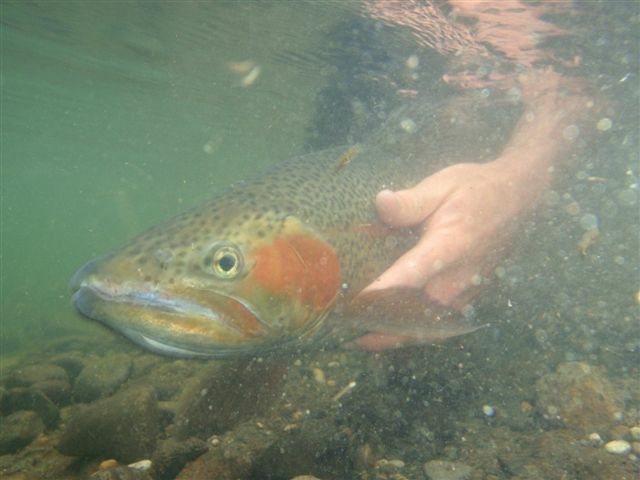 The past few days have been positive in the fishing department and most anglers fishing Taupo rivers have once again been able to connect with trout on most outings. Fish are scattered throughout the Tongariro in good numbers and I am told the evening rise is awesome and has to be seen to be believed. The dry fly action has hit fairly early this year so I’m hoping that this is a sign that the action during the day might arrive early as well. Â A mixture of nice little silver trout have been taken along with the kelts which we are expecting to see at this time of year. Sporting Caddis will be my choice of fly at the moment but if they prove too smart for this pattern try something very small like a Para Adams in a size #16 #18. The T T should follow suit and be receiving the same hatches in the evening which will produce good sport if the trout are in the river-have not heard much on this river but I would say the upper section would be worth a look if you need a good stiff walk. The Hine will also be a good beat at the minute and you may just get the odd fish which will surprise you as I was able to hook two or three silver fish in here last week in the lower section below the main road. 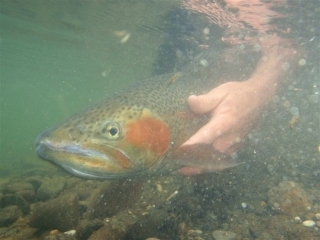 Shallower fast water should be where most fish will be sitting at the moment and when fishing the dry fly dropper rig this should find good numbers of fish in this river. Great sport can be had in here over the next couple of months as insect life increases and fish start looking at the surface for an easy feed. You will come across your fare share of dark recovering fish but in the small confined waters of this creek they can still give you a good run around. Thankfully I think the fishing has picked up on some backcountry rivers now the levels have dropped and access and reading water has become easier. Fish are more confined to the usual lies and pools which you would imagine fish to be hanging out in andÂ seem to be playing the game for the first time this season. 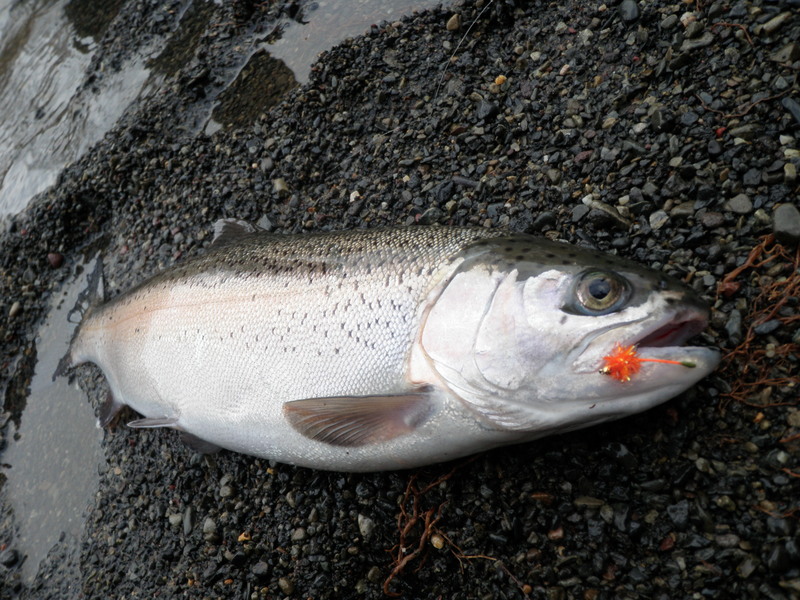 I had a great day the other day in some new water which I needed to check out and hooked 14 trout landing about 9. The fishing was great but the scenery was what really made the day for me and I’m looking forward to next weekÂ when I can get in their with clients. 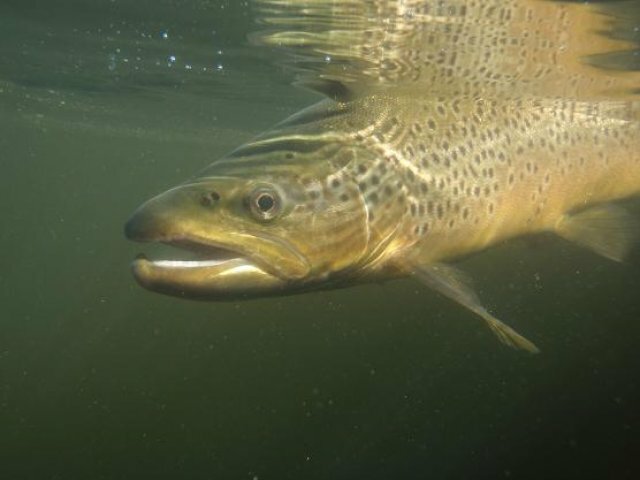 Although the largest fish was only about 5lb all trout were in great condition and performed well when hooked which sometimes is more important than winding up big sluggish fish from slow moving water. Touch wood we wont get too much rain for a few weeks and we can get into all our favourite little places and get some positive reports rolling in.